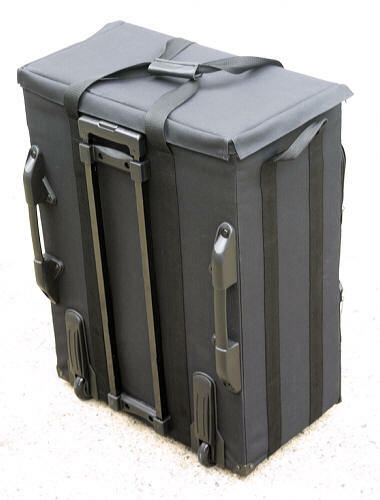 This top-loading case has ample room for all kinds of artwork, supplies and product samples. Features 3” inline skate wheels and a telescoping handle. 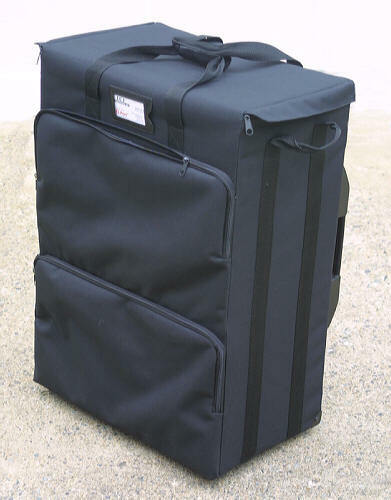 Two zippered compartment on the outside for sales literature, order books, and supplies. Optional Display Boards (see below) can be used as protective dividers or to display picture frame samples that can be attached with Velcro. 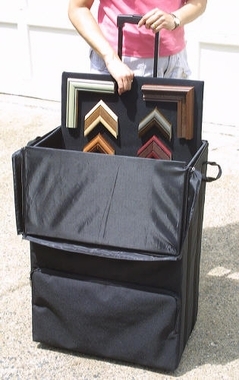 Put your artwork and supplies on wheels! This compact case features built-in 3" in-line skate wheels and a telescoping handle. Convenient top-loading design for easy access. Outside zippered pocket with two compartments. Fully padded interior measures 16"x22"x8". 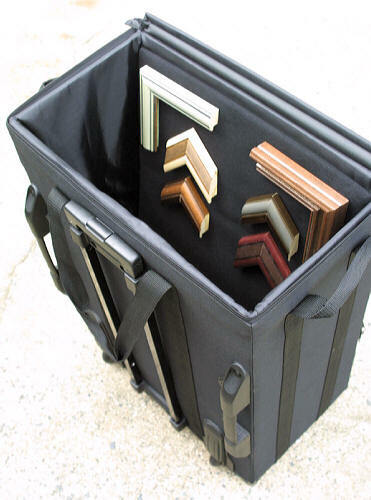 Optional Display Boards (see below) can be used as protective dividers, or to display picture frame samples that can be attached with velcro.